Nag Champa incense is India's most popular high grade incense. It is known worldwide and made from costly, highly fragrant rare gums, resins, powders and pure Mysore Sandalwood Oil. 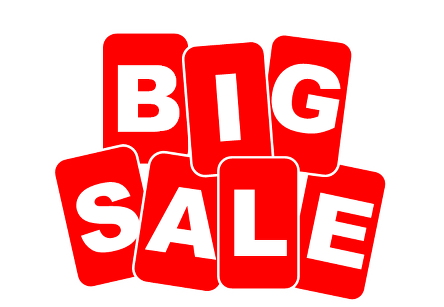 The natural ingredients are blended to perfection to create a soothing aroma that has more return customers than any other incense we've ever offered. This aromatic incense with its sweet, yet earthy fragrance is perfect for enhancing any mood or environment. This incense has been around for decades, and there's good reason; not only is the incense of exceptional quality, it is the perfect accompanyment to creating meditative and sacred spaces. Gently fragrant and long lasting, the scent will lightly linger in your room for hours. It has a high concentration of sandalwood. 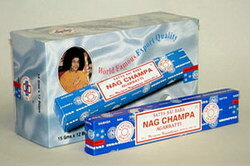 Nag Champa belongs to the "Champa" class of Indian incense, originating from the Champa flower. Champa incenses contain a natural ingredient indigenous to India called "halmaddi", which is a semi-liquid resin taken from the Ailanthus Malabarica tree. It is what gives Nag Champa its characteristic grey color. Halmaddi is hygroscopic which means it absorbs moisture from the air. This can cause Nag Champa incenses to have a wet feeling to them. Many burn Nag Champa to stimulate spirituality and meditation. The captivating scent will linger in your memory long after the incense has burnt itself out. Remember - One burn and you will return !